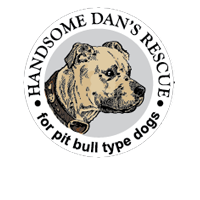 Home / Handsome Dan’s Rescue / Programs / Foster Care"
Our foster care program focuses on dogs that fall into two categories; dogs who are not likely candidates for adoption, due to medical or behavioral reasons, in our local shelters, or victims of dogfighting operations. Our foster care program is small by design and a more intensive and structured than most due to our mission and the dogs we serve. Our foster parents are the best in the industry. Each dog in our program has a training and/or behavior modification plan, some rigid, some more informal, but our foster parents are responsible for working the plan for their foster dog. 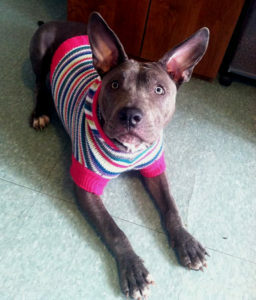 Our foster care providers have a willingness to learn and be proactive for the dogs in their charge. 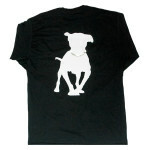 Dogs come to them often dirty, defeated and/or in dire need of medical care. We treat dogs with Demodex Mange, victims of injury, abuse or neglect, and dogs who may have once been in a wonderful home but find themselves now homeless and suffering in a shelter setting. Some of the dogs in our foster care program come to us because they have behavioral issues that their shelter is not equipped to handle, including fear issues. Our foster families are set up with the tools for success; all food, vet care, supplies, and support are happily provided. After all, we do not tend to pull the “easy” dogs… we focus on the ones who really need us to stay alive.